Do You Try To Make Things Happen Faster Than Maybe They Should? Do you think that some things should be happening faster for you… so you sort of hit the fast-forward button on the process? I see lots of Insta- things- instantly conceived almost from thin air-around me in Los Angeles. Insta-marriages, Insta-businesses, Insta-fame. Insta-enlightenment is being sold all over the place, along with Insta-fitness and Insta-happiness. It seems that if it isn’t fast, easy and relatively seemless it isn’t desirable to lots of people. When people come to me looking for Insta-manifestation of their desires without any effort at all, I take a moment before moving forward. We have a talk. Usually I can’t work with them because they are caught in the fast-forward. I was the hugest lover of Insta-everything. I felt that after years of academic commitment and life work that my few years out of college that were less-than-serious living (and partying) had left me to fall behind. I was no longer in the imaginary race of life I clung to so dearly. I needed to catch up, so I needed some things instantly to fill in the things that I lacked. Every instant fix was a giant step backward. Not only did I not get instantly what I wanted, I grew frustrated, lost and detached from myself in the process. Try a crash diet and you know there’s only so long you can go before you feel like you are floating through life, barely connected to the day because you are starving. Insta-anything designed to skip many steps of a process will likely leave you with that same detached, floating feeling that is deeply unpleasant. I wonder… Do you try to make things happen faster than maybe they should? 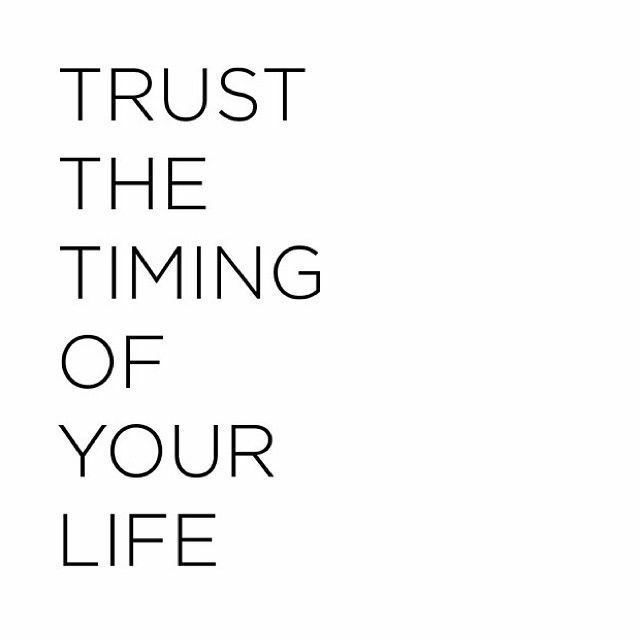 Do you trust the timing of your life? I watch Bob sleeping sometimes and have a sense that he perfectly knows what to do to make his body and mind feel good. 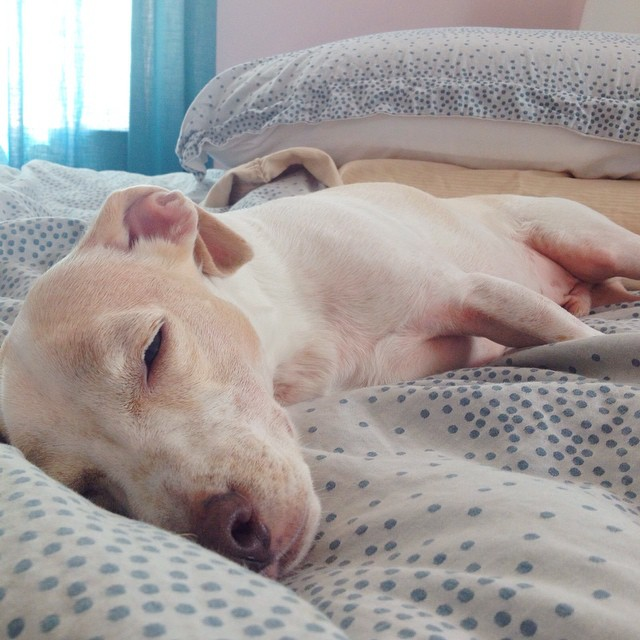 So, we started taking naps together, at the most chaotic, deadline-filled point of my life. Me and Bob both get tired at the same time in the day, and after napping together we are both far more spunky and smiling. While I thought at first that this was deeply irresponsible on my part- after all, I’m the one supposed to be moving things forward faster during the day- but it’s made me so much more productive, calm and healthy. This morning, I realized I didn’t need my beloved green tea. A very strange idea to give up my tea, but I just don’t need it. When I was in Japan I got this message wash over me to eat tons of vegetables. Seriously! And since I’ve been home, my refrigerator is all green and I feel fantastic. The more I listen to these messages from my own life- rather than the treadmill of a day calling me to do things that are not comfortable but are designed to fast-track life-the more things actually move fast around me. I think we all intuitively know what’s best. Dare to listen more to yourself rather than the Insta-noise around you and see if you can tap into your own right routines. Quick rises to the top of anything can sometimes involve concessions and shortcuts that make you feel terrible. The more you bow to values that go against who you are, the more you lose yourself in the race of life. I’ve seen people want to make relationships work so well and so quickly that they toss their needs and their values away in hopes of making things move faster. I have even seen people give up things dear to them- even friends and family- in the hopes of fast-tracking themselves to marriage. I don’t need to tell you that even when these marriages happen, they are likely ill-fated, build on a foundation of half-truths and rushing. If you trust the timing of your life, you don’t have to give up what you love to have a life. You might have instant love and even instant marriage, but it won’t feel like you are giving up who you are in the process of it is a right thing to do! Expand on the inside as well as the outside. I’ve always wondered why some people get seemingly fast fame and handle it gracefully while others get a big break in Hollywood and self-destruct. A friend who overcame major addiction in Hollywood said something that sticks with me:we need to grow on the inside to handle what’s happening on the outside when life expands. It’s a very cool way to think about things. A stable foundation – a calm mind, an organized life, solid values- allows you to carry a much bigger weight of life upon it. Without a stable foundation, anything you build will sit on shaky ground. Create order in your home. Do some work with a journal, a therapist, a group you trust to create order in your mind. Build a foundation of habits that help you expand and feel stronger. Finally you might find things coming faster without any Insta-forced-fast-forwarded strings attached. You might just get a whole lot more of what you want… fast. Plus, you’ll feel so good that you’ll actually be able to enjoy what you create…! Hi Dana, I couldn’t agree more with this. I’m going through a big change in my life at the moment and am taking the time throughout each day to take the best care of myself I can and organise my home & diet so it feels amazing & full of good energy. It’s definitely working. I absolutely love your articles & this one has confirmed to me that I’m on the right track so thank you. Previous post: Pantone Marsala Colors 2015 In Earthy Fire! Next post: Inspiration To Design More Stability Into Your Home & Life!